Need something new for your child that has read every one of The Boxcar Children or The Magic Tree House books? These series are all just a little different than your run-of-the-mill school stories or middle grade mysteries, but like the others, if they like one there's a whole lot more waiting in the wings. I've listed them easiest to hardest, as far as reading levels. We have read at least the first books in all the series out loud together, as well. In the original Bad Kitty, Bad Kitty's favorite foods are all gone and instead she is left with an alphabet full of vegetables to eat. She gets mad, so she throws a kitty tantrum (also alphabetical), which brings back her favorite foods (in--you guessed it--alphabetical order), which leads to Apologizing to Grandma, and so forth. These books are bursting with humor and over-the-top antics. Imagine Jim Carrey reading the audio, and you'd have it about right. Short chapters, with plenty to keep a young reader's attention. Nearly every page has an illustration, with several pictures taking up all of two pages, and there are frequent interjections--quizzes, fun facts, newspaper articles, and more. There's at least 15 of them, though some are picture books and some are chapter books. Bottom line: High energy hijinks with a super naughty kitty. Sound fun? You'll love these! In the first book of the series, Andrew Lost on the Dog, we meet ten-year-old inventor Andrew. Unfortunately his latest invention--the Atom Sucker--has malfunctioned.....which is to say, it has shrunk him down to size of a speck, along with his 13-year-old cousin Judy. 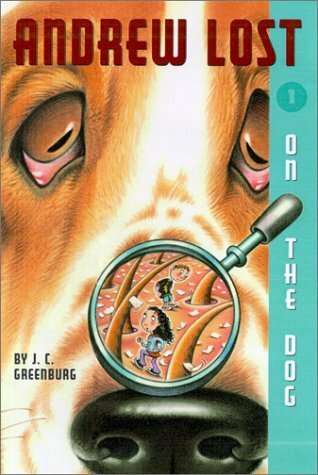 They wind up on the neighbor's dog, Harley, and get to find out in person about all the gross microscopic creatures inhabiting the dog. Eyelash mites, anyone? The adventure continues in Andrew Lost in the Bathroom, Andrew Lost in the Kitchen, Andrew Lost in the Garden, etc. According to Goodreads, the series goes up to #18 so far. My kids and I have only read the first 4, but they liked them well enough that we have read them each several times. 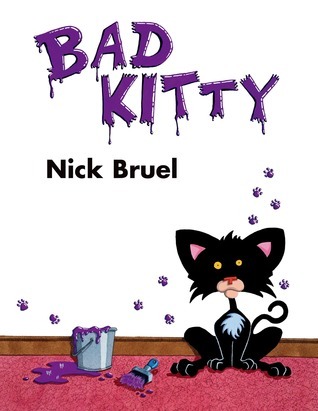 This series would be good for kids transitioning from the Early Reader books to longer chapter books. It doesn't have an illustration on every page, but there are several throughout the book. The chapters aren't very long and they are action-packed! 1. There is a super annoying robot named Thudd, who talks in fragmented sentences, calls Andrew "Drewd" and Judy "Oody" for some reason, and says "meep" a lot. Unless you are reading this aloud, however, Thudd will probably not bother you at all. Who knows, your kids may even like him! Thudd also explains the things they are seeing in semi-scientific terms. 2. It's gross. It's all microscopic skin-eating mites, drain sludge, slimy nose goo, etc. Again, they might love it or be neutral to it, but just be aware it's not for the squeamish. Bottom Line: If you can handle the disgusting details, and want to learn a little science along the way, this is a great choice. 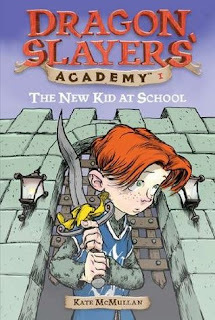 In The New Kid at School, Wiglaf starts out as the third-eldest son in a family of 12. Unlike his 11 brothers, however, he is scrawny and kind-hearted. He also dreams of becoming a hero one day. When a traveling minstrel stops in and stays for the winter (in the pigsty, catching rats to earn his watery cabbage soup), he teaches Wiglaf to read and write, among other things. He also tells him that he was destined to be a great hero. Not long after, Wiglaf sees an advertisement for the Dragon Slayers' Academy and is on his way to greater things, with his pig Daisy at his side. His family isn't sorry to see him go, except for all the chores that will not get done. The Academy is everything he had hoped for and more. He makes friends and finds his place, and he may even actually slay a dragon. Or something. Wiglaf's adventures continue on, with 20 books altogether--we've read the first 8 out loud (more than once), and I just discovered that our library has the rest. Woohoo! They have a little bit longer chapters than the Andrew Lost books, with just one full-page illustration per chapter. Bottom line: If you like medieval fantasy with plenty of silliness, these will keep you laughing. Have you or your kids read any of these? What are some of your kids' favorite series?